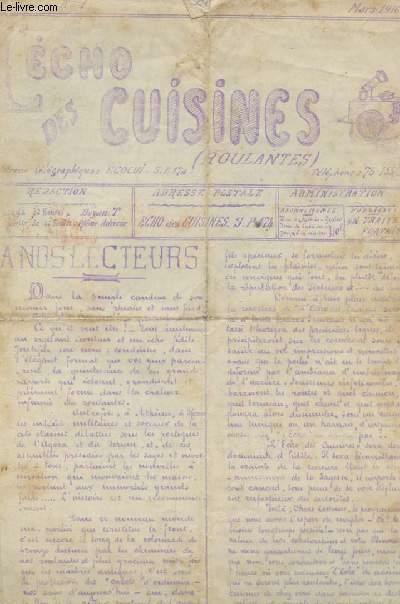 L'ECHO DES CUISINES ( ROULANTES). N°1. MARS 1916. A NOS LECTEURS. LA GRAISSE MANQUE EN ALLEMAGNE. JAMAIS CONTENT. PETITE CORRESPONDANCE. ENVOI. ON RECLAME!. A PROPOS DES CROIX DE GUERRE. NAVRANTE INFORTUNE. MEURTRIER INVOLONTAIRE. BULLETIN FINANCIER.